Reach your event attendees anywhere. Our Mobile Event App lets you sell tickets, accept registrations, and instantly share personalized event details with your guests. Avoid paying for expensive and hard to maintain “event apps” that quickly become stale. 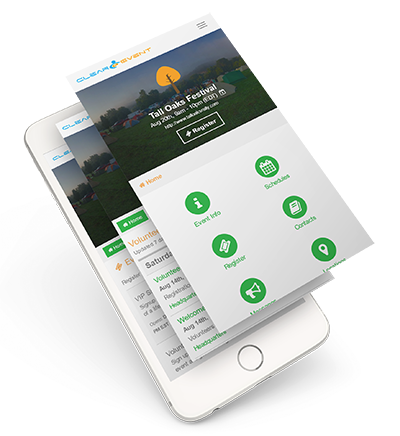 ClearEvent automatically creates a brandable, cross-platform Mobile Event App that lets your event provide personalized event details to your participants. 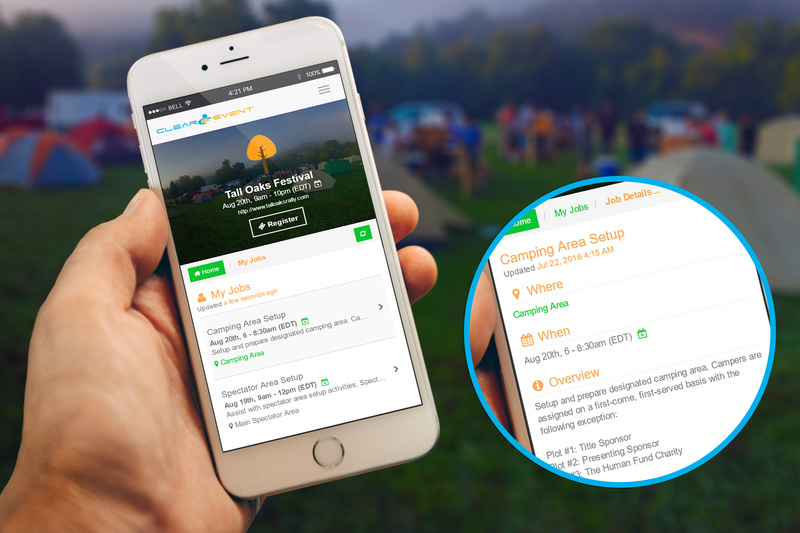 Easily sell tickets, register guests and easily share important event details like schedules, messages, organizer contact info, key locations, and job assignments with your attendees. Your Mobile Event App is a one-stop source to learn about your event. Reduce training costs and last-minute on-site meetings by communicating job assignments to event staff and volunteers ahead of your event. With a simple tap, participants can keep you updated as they complete assigned tasks. Message sent to specific groups of participants using our intuitive targeting and segmentation tools can all be found on your Mobile Event App. If you don’t have a website, our Mobile Event App is a great way to build a web presence for your event. Our cross-platform Mobile Event App works on all modern smart phone and desktop web browsers. The best part? You can create your portal in minutes and you don’t need to be a software genius to do it! Create Own Event App Today For Free!